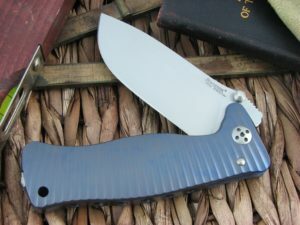 Lion Steel SR1. 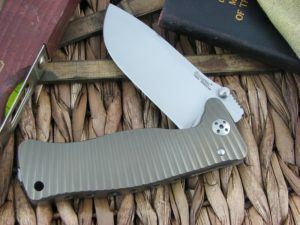 Single piece shell in Ergal Aluminum or Titanium. 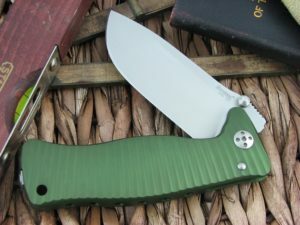 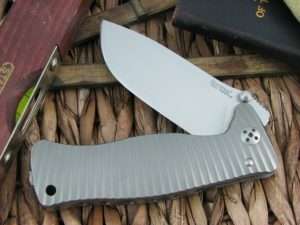 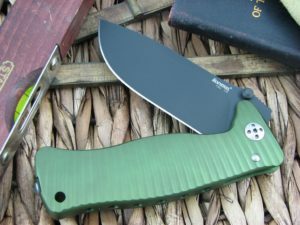 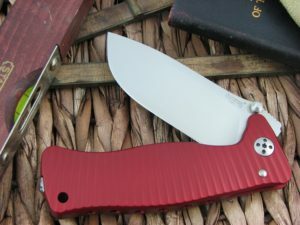 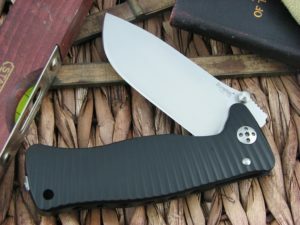 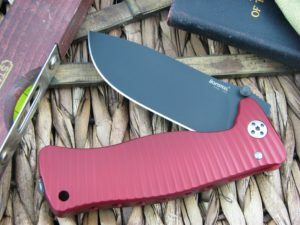 The blade is made of D2 or Sleipner, and has 60-61 HRC. 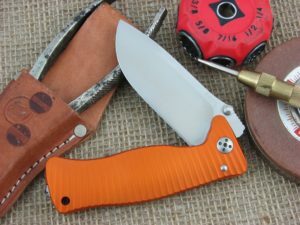 It comes in a wood box and is equipped with a tool for adjusting the blade’s tension. 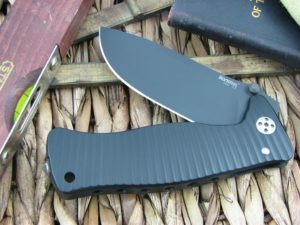 With the same tool you can move the clip from one side of the knife to the other.